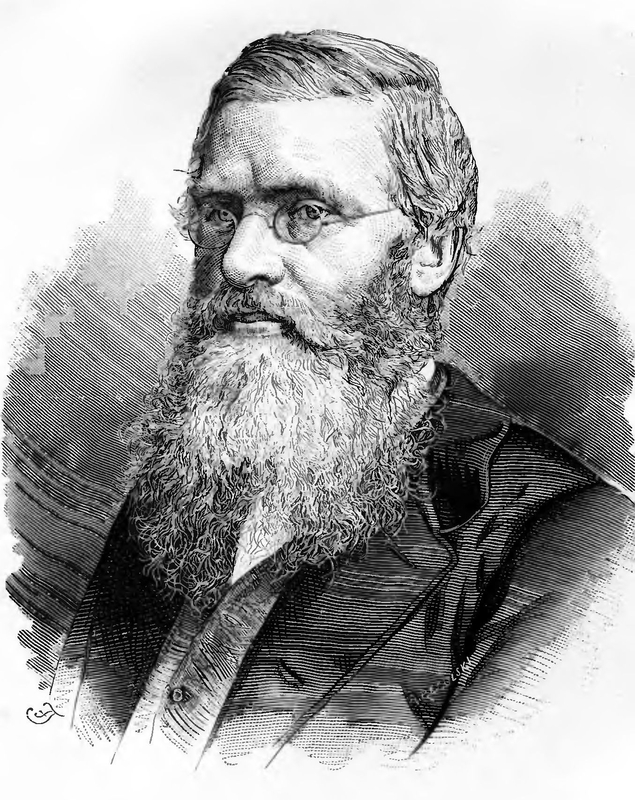 Alfred Russel Wallace (born in Usk, Monmouthshire, Wales, United Kingdom, died in Broadstone, Dorset, England) was a famous Scientist from United Kingdom, who lived between January 8, 1823 and November 7, 1913. He became 90 years old. Alfred Russel Wallace was an English anthropologist, biologist, zoologist and scientist. Together with Henry Walter Bates explored the Amazon, in 1848-1852 he lost all findings when the brig was wrecked on the way home (1852). On the basis of the cruise, he developed a theory of evolution described in On the Law Which has Regulated the Introduction of Species (1855) and On the Tendency of Varieties Depart Indefinitely two From the Original Type (1858/1860, with Charles Darwin). Wallace explored the Malay Archipelago 1854-1862 (East Indies, now Malaysia and Indonesia) and defined Wallacelinjen, an animal geographical delimitation. The expedition resulted in several books, including The Malay Archipelago (1869) and Island Life (1880). Of the awards made ​​Wallace the English Order of Merit (1908), the Royal Society's Copleymedaljen (1908) and Linnaeiske Gold Medal (1892). He is born under the zodiac capricorn, who is known for Determination, Dominance, Perservering, Practical, Willful. Our collection contains 22 quotes who is written / told by Alfred. "To say that mind is a product or function of protoplasm, or of its molecular changes, is to use words to which we can attach no clear conception"
"It has been generally the custom of writers on natural history to take the habits and instincts of animals as the fixed point, and to consider their structure and organization as specially adapted to be in accordance with them"
"In all works on Natural History, we constantly find details of the marvellous adaptation of animals to their food, their habits, and the localities in which they are found"
"I spent, as you know, a year and a half in a clergyman's family and heard almost every Tuesday the very best, most earnest and most impressive preacher it has ever been my fortune to meet with, but it produced no effect whatever on my mind"
"Truth is born into this world only with pangs and tribulations, and every fresh truth is received unwillingly"
"There is, I conceive, no contradiction in believing that mind is at once the cause of matter and of the development of individualised human minds through the agency of matter"
"In my solitude I have pondered much on the incomprehensible subjects of space, eternity, life and death"
"I am decidedly of the opinion that in very many instances we can trace such a necessary connexion, especially among birds, and often with more complete success than in the case which I have here attempted to explain"
"Civilisation has ever accompanied emigration and conquest - the conflict of opinion, of religion, or of race"
"What birds can have their bills more peculiarly formed than the ibis, the spoonbill, and the heron?" "The foregoing considerations lead us to the very important conclusion, that matter is essentially force, and nothing but force; that matter, as popularly understood, does not exist, and is, in fact, philosophically inconceivable"
"I have since wandered among men of many races and many religions"
"But naturalists are now beginning to look beyond this, and to see that there must be some other principle regulating the infinitely varied forms of animal life"
"To expect the world to receive a new truth, or even an old truth, without challenging it, is to look for one of those miracles which do not occur"
"On the spiritual theory, man consists essentially of a spiritual nature or mind intimately associated with a spiritual body or soul, both of which are developed in and by means of a material organism"
"Modification of form is admitted to be a matter of time"
"I am thankful I can see much to admire in all religions"
"What we need are not prohibitory marriage laws, but a reformed society, an educated public opinion which will teach individual duty in these matters"
"To the mass of mankind religion of some kind is a necessity"
"If this is not done, future ages will certainly look back upon us as a people so immersed in the pursuit of wealth as to be blind to higher considerations"
"As well might it be said that, because we are ignorant of the laws by which metals are produced and trees developed, we cannot know anything of the origin of steamships and railways"
"I hold with Henry George, that at the back of every great social evil will be found a great political wrong"